As noted, I didn’t have much interest in Giants initially but I’ve come to appreciate them. I have a fun sitting planned for the players in my current Celestial Winter campaign that involves being guests of Giants so…I needed to get some more painted. 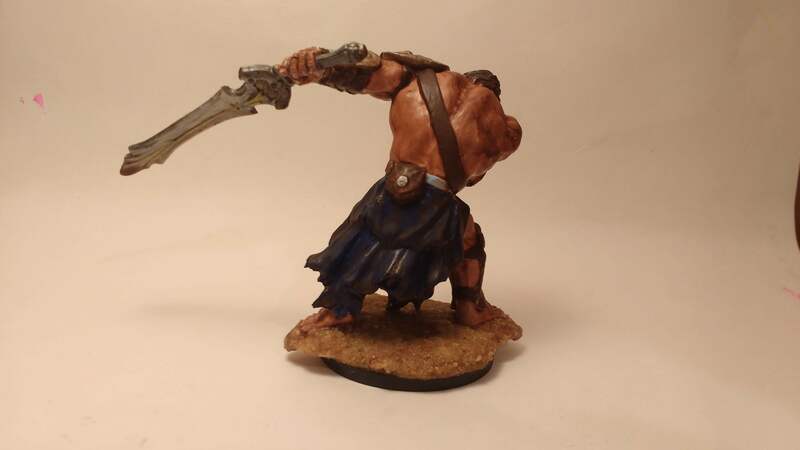 I acquired the Storm Giant back during Reaper’s first Bones Kickstarter. 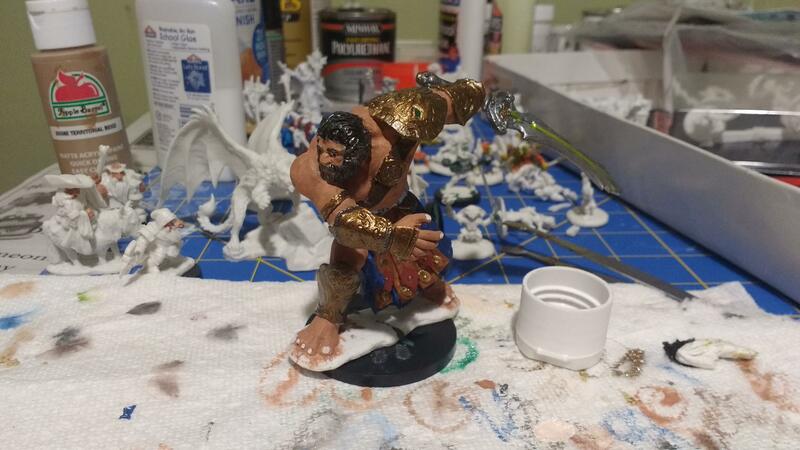 It’s a fun miniature that I’ve used quite a bit for larger foes…the only problem has been it’s droopy sword. The hot water/ice water trick only remedied this temporarily so, inspired by recent work with goblins, I decided to try running a metal pin through it. I wasn’t able to get a pin all the way through but I was able to stabilize the base and point. I went with a similar color scheme to the Fire Giant Queen and Fire Giant King so that this could serve as an all purpose Giant. 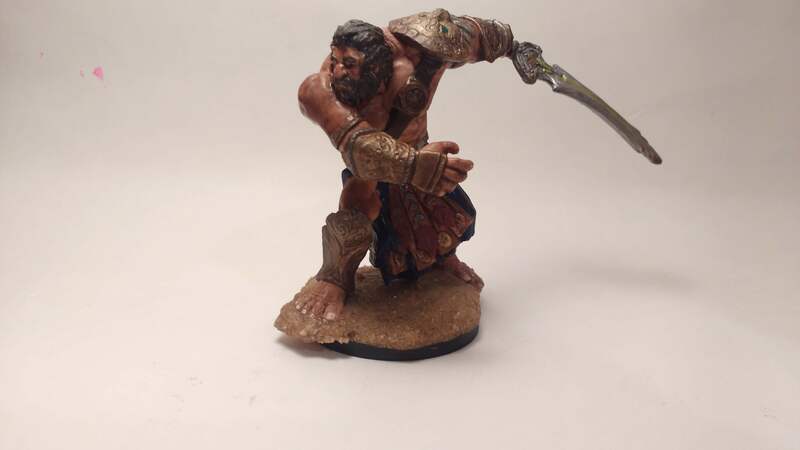 I have started painting my Frost Giants and they will have blue flesh. I’m satisfied with how the Storm Giant turned out. Even unpainted it’s appearance on the battlefield has long intimidated players and I think it retains that powerful presence. I remember that one off with those giants!